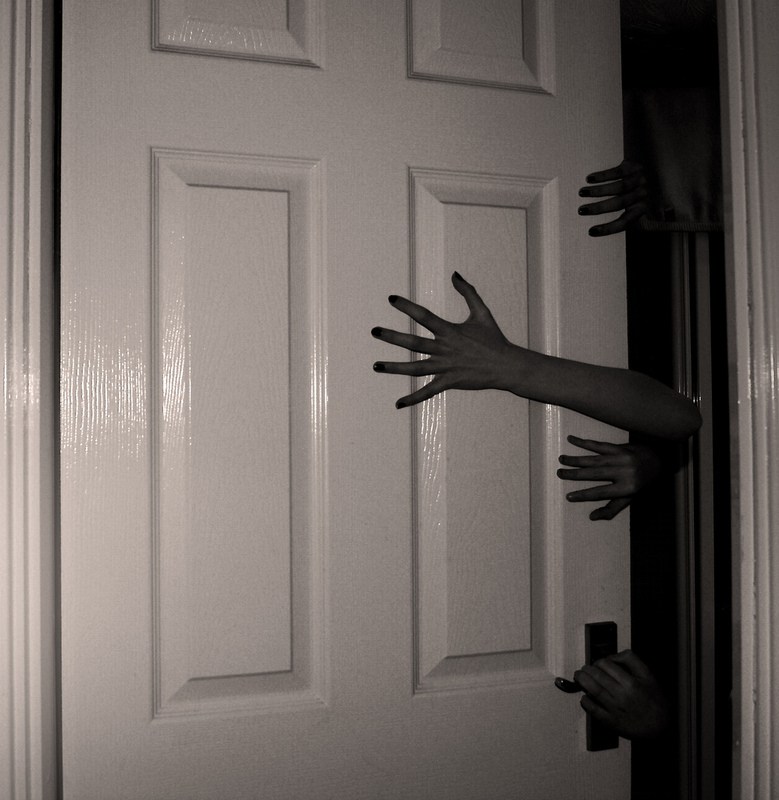 Small children everywhere are often scared by whatever monster they imagine is in that cupboard in their bedroom. Little Joseph was no exception. He had told his parents on a number of occasions that he didn’t want to sleep in his room because the Thing in his cupboard might come out and get him. When his parents asked what the Thing might be, he described it as a ‘dark teddy bear’. The house was relatively new and neither parent had any reason to believe this was anything other than a child’s imagination at work. Usually, children outgrow such fears and his parents expected Joe to eventually forget about the monster in the cupboard as well. However, he didn’t. If anything, he became even more terrified of the cupboard as he got older and would often run headlong to his parent’s bedroom in the night. His father, a friend of mine, would frequently show him that the cupboard was simply a cupboard filled with clothes. Joe would watch nervously from a safe distance, but remained unconvinced. On his 8th birthday, Joe was given his first camera. It was a kid’s camera, but it was quite capable of taking both reasonable photographs and also short videos. He was excited to have the camera and spent much of the evening playing with it by taking photographs and videos of everything in sight, including him self. For once, Joe didn’t even seem so reluctant to go to bed and to his own room. This was surprising because Joe would usually do almost anything to avoid going to bed in that room. His parents were very pleased that he went to his room, went to bed and stayed there with little or no fuss or argument that night. However, as usual, at some point early in the morning, Joe came running into his parent’s bedroom and squeezed himself in between them. At breakfast, Joe’s father admonished Joe who ‘at the age of 8 really shouldn’t be sleeping with his parents’. Joe pulled out his camera. “I took a photo of the monster Dad. You will have to believe me now.” He said. My friend took the camera his son was holding out to him. It was an orange plastic camera with blue buttons and viewfinder. The small display screen on the back was lit up and sure enough, there was a picture there. He looked more closely at it. “It looks like a shadow?” he said looking at Joe. Joe’s father looked again at the screen. It was a shot from the bed towards that cupboard which was half open. A dark shadow was at one side of the cupboard. As he examined it more closely, he changed his mind. The dark shadow was peeking out from behind the cupboard door. How could that be? He said nothing, but instead focused Joe on getting ready for school. However, when Joe had left, he looked again at the photograph. There was something there – but what? He went up to Joe’s room and examined the cupboard again. He opened it. He played with the curtains and the lamps in the room trying to recreate what he saw in the photograph, but he could not. He began to feel a little uncomfortable. Could it be that there really was something inside the cupboard? He shook his head dismissing the thought and began to get ready to run an errand. It was then that he had an idea. It was a crazy idea but still, it would settle things perhaps once and for all. He spent the next 30 minutes setting up his own video camera in Joe’s bedroom. He switched it on and left. On his return a couple of hours later, he took a quick look at the footage taken. There was nothing just as he had expected. He chuckled to himself, as for a moment or two he had actually began to think that there might actually be something in the cupboard. However, he reset the equipment and let it run for another hour or so while he made himself lunch. There was no harm in being thorough he decided. He returned after lunch to find the camera switched off. Puzzled, he switched it back on and reviewed the video. A quick glance showed nothing unusual recorded, just as he had expected, but just as he was about to switch it off and pack up the equipment, he saw it. A sudden and distinct shadowy figure emanated from the cupboard and a shadowy face looked into the camera lens just before the video ended abruptly as the camera was switched off. A chill ran up his spine. He rewound it. Yes, he hadn’t imagined it. There was a shadow. Wispy, like smoke and it rapidly grew in size before the video ended. Shaking, he packed the equipment avoiding staring at the cupboard for the first time slightly afraid of what he might see. Later, in the evening he reviewed the video with his wife. She sat wide-eyed in disbelief. Their son slept with them that night and every night thereafter until they had moved house. There was, after all, a monster in the cupboard. This story by G. Michael Vasey and it is taken from the eBook – My Haunted Life 3 – available on Amazon, Apple and Barnes & Noble websites.